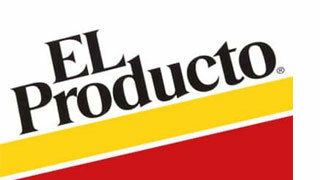 El Producto cigars have a rich history that dates back to the early part of the 20th century. Today they are made by Altadis USA, a renowned cigar manufacturing giant. They started out as cheap hand-made, nickel cigars that soon became popular for their fine filler blends. These cigars are now machine-made, but maintain the same quality that made them popular with celebrities like the comedian George Burns and the rock ‘n’ roll legend, Elvis Presley. The El Producto story begins in 1905, when tobacco dealer Sam Grabosky chanced upon a local tobacco dealer who offered him the rights to the entire El Perfecto label for a mere $11. Grabosky soon started creating his own cigars with a mix of Puerto Rican and Cuban tobaccos. The binder and wrapper were reconstituted tobacco leaves. Today, the machine-made version uses homogenized tobaccos as the binder and wrapper. The filler is fine blend of Caribbean-basin Cuban-seed tobaccos. They cigars are available in different shapes and sizes. Light up one of these cigars and enjoy the aromatic smoke that slowly takes your senses. These pure tobacco smokes offer a delightful smoking experience. These cigars used to be the lifelong favorite of comedian George Burns. He loved the Queen sticks and continued to smoke them even though his friends teased him and asked him to move up to the Havanas. He declared that the Queens would always be his cigar of choice. Although they aren’t hand-made anymore, these smokes are still in demand among cigar enthusiasts of the 21st century.